New BMW 1 Series wins “Golden Steering Wheel” award. New edition of compact model wins renowned competition run by the “Bild am Sonntag” magazine – second place in the convertible category goes to the new BMW 6 Series Convertible. Munich. Just a few weeks after its market launch, the new BMW 1 Series has already won its first internationally significant automobile award. The edition of the BMW compact model is the winner of the “Golden Steering Wheel” awarded by “Auto Bild” and “Bild am Sonntag”. The coveted trophy was presented to BMW AG Board Chairman Dr. Norbert Reithofer at a gala event in Berlin yesterday. 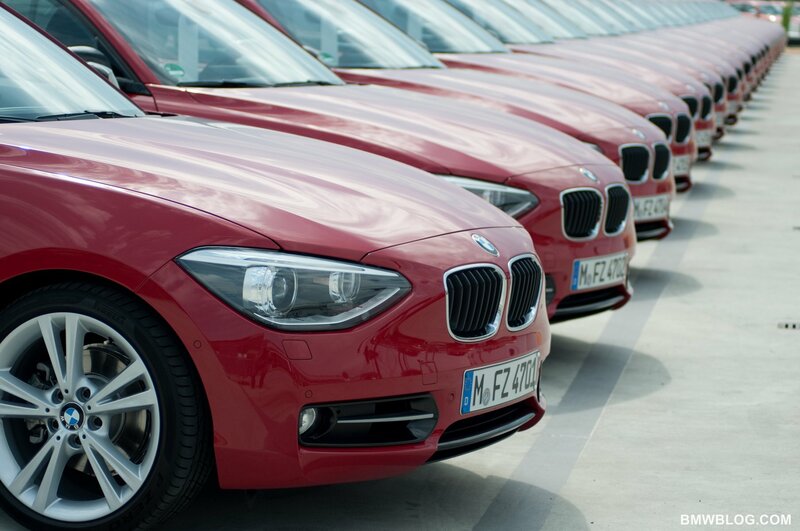 The BMW 1 Series asserted itself in the class of compact automobiles. The second BMW model to compete for the “Golden Steering Wheel”, the new BMW 6 Series Convertible, likewise achieved an outstanding result with second place in the category of open-top vehicles. It was the 36th time “Golden Steering Wheel” has been awarded, making it one of the most important and tradition-steeped automobile awards in Europe. It goes to the most impressive new models which have been launched on the automobile market during the year in question. This year, 46 new models competed in various segments. The choice of best in each class was based on a readers’ vote, in which some 260,00 readers of the automobile magazine group “Auto Bild” and the Sunday newspaper “Bild am Sonntag” took part, as well as the verdict of a 42-strong jury made up of racing drivers, engineers, editors and celebrity testers. In the star-studded compact vehicle category, the new BMW 1 Series came out top in both the readers’ vote and the jury’s verdict. It was able to outshine the competition with its outstanding sporty style and efficiency, optimised comfort and extended space, expressive design and premium quality. “The success of the new BMW 1 Series shows that we are doing excellently in this segment, too,” said Dr. Norbert Reithofer after the award ceremony. The current trophy is the second “Golden Steering Wheel” to be won by BMW for a compact model. The BMW 1 Series Coupé won the sought-after award in 2008. The BMW 1 Series stands out as an exceptional automobile within the compact segment not least due to its rear-wheel drive, still unique in this class. Its sporty character is also underlined by a fully updated portfolio of engines. Two newly developed petrol engines and three diesel power units cover an output range from 85 kW/116 bhp to 135 kW/184 bhp. Due to BMW Twin Power Turbo Technology and the large number of standard BMW EfficientDynamics measures used in all engines, the excellent driving pleasure offered by this model is combined with often significant reductions in fuel consumption and emission levels. As compared to the predecessor model, the luggage volume of the new BMW 1 Series has increased to 360 litres and it also offers additional leg space at the rear. Its extensively refined chassis technology also ensures perceptibly optimised ride comfort. In addition to the air conditioning system, standard fittings include the drive experience switch with ECO PRO mode for individual vehicle set-up and fuel consumption optimisation. 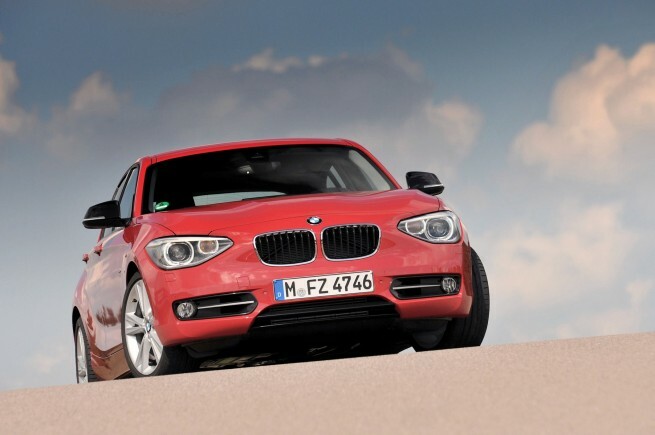 The new BMW 1 Series is the first model in its class to be fitted with an optional 8-speed automatic transmission. What is more, the range of driver assistance systems and mobility services under BMW ConnectedDrive reaches a level previously only available in much higher vehicle segments. Some of the features available for the BMW 1 Series include the BMW parking assistant, lane departure warning including rear collision warning, Speed Limit Info with overtaking ban display, real-time traffic information and apps for use of the online services Facebook and Twitter inside the vehicle.